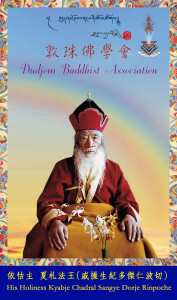 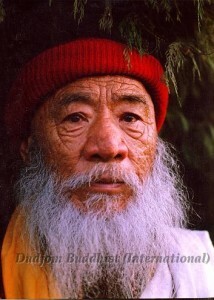 A world-renowned greatly-realized contemporary foremost Dzogchen Master, now in His 104 years old, His Holiness Kyabje Chadral Sangye Dorje Rinpoche is a “secret yogi” known for His great realizations with strict disciplines. As a Spiritual Master of the highest caliber and a greatly-realized Mahasiddha of Tibetan Buddhism in our contemporary times, His Holiness Kyabje Chadral Rinpoche is also known as Trogyal Dorje (meaning the “Adamantine Wrathful Victorious One”) and Buddha Vajra. 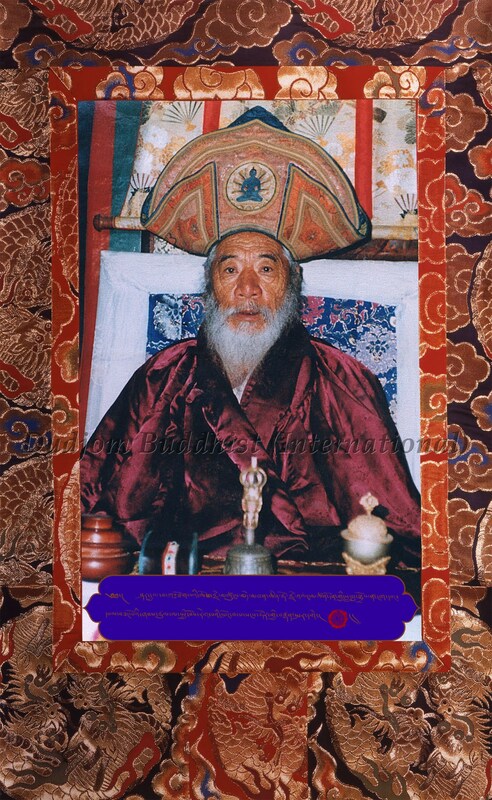 His Holiness Kyabje Chadral Rinpoche is being considered as the peerless Exemplary Elder of Awareness-Holder in the Nyingma School of Tibetan Buddhism, and is, indeed, the Guru of gurus! 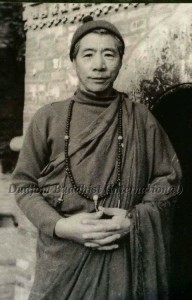 His Holiness Kyabje Chadral Sangye Dorje Rinpoche was born on the Tenth Day of the Fifth Month (Guru Rinpoche’s Birthday*) of the Water Ox Year of the 15th Rabjung Cycle of the Tibetan calendar (that is, the year 1913 of the Western calendar), to two pious members in the Valley Apse tribal group of Nyarong province of Kham, His father named Pema Dondrub and His mother Sonam Tso. They soon left their village and migrated to Amdo. 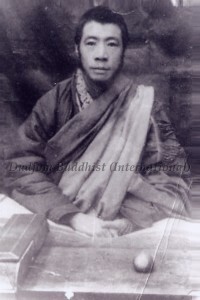 His Holiness Kyabje Chadral Rinpoche started learning the Tibetan language, as well as the Buddhist Sutras at the age of four. 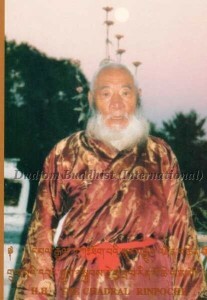 Since then, His Holiness Kyabje Chadral Rinpoche had already aroused a great “mind of renunciation” at an early age. By the age of fifteen, he abandoned His ties with His family, began His life-long journey to search for liberation and enlightenment, and went to many great masters to study and practice the Holy Dharma. He insisted on travelling on foot and refused to enter the residences of householders, staying and taking retreats only in those sacred places, caves, and hermitages that were blessed by Guru Rinpoche and other Spiritual Masters, or staying in His own little tent. At first, His Holiness Kyabje Chadral Rinpoche had gone over to the place of the Great Wisdom Dakini and Terton, Sera Khandro Dewai Dorje (1892-1940, an emanation of Yeshe Tsogyal), to learn many Terma teachings and Buddhist Tantras, including the most precious and rare “Special Lineage of Sera Khandro” herself, as well as the whole and complete teachings of the “Dudjom Tersar Lineage” of Terchen Traktung Dudjom Lingpa via Sera Khandro and her consort Tersay Tulku Drimé Özer (Rikdzin Chenpo Pema Drodul Sang-ngak Lingpa 1881-1924, the son of Terchen Traktung Dudjom Lingpa). 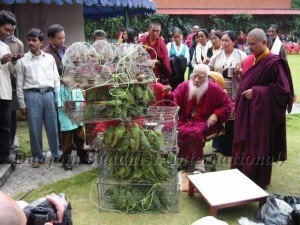 At the same time, His Holiness Kyabje Chadral Rinpoche also received all the Terma treasures of the “Dudjom Tersar Lineage” once more from Tersay Dorje Dradul (1891-1959, the youngest son of Terchen Traktung Dudjom Lingpa). In this way, His Holiness Kyabje Chadral Rinpoche is the only living Lineage Holder (chodak) of the very Special Lineage of the Great Wisdom Dakini Sera Khandro. 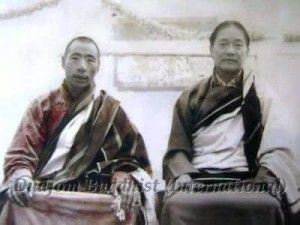 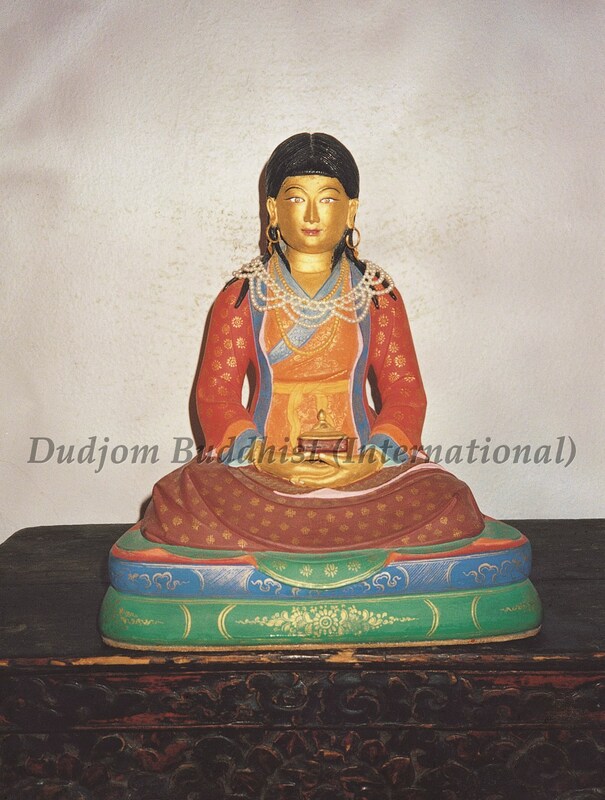 After which, His Holiness Kyabje Chadral Rinpoche had received further instruction from the Great Wisdom Dakini Sera Khandro to go to Kathok Monastery, so as to meet His pre-destined Root Guru (Tsawai Lama). 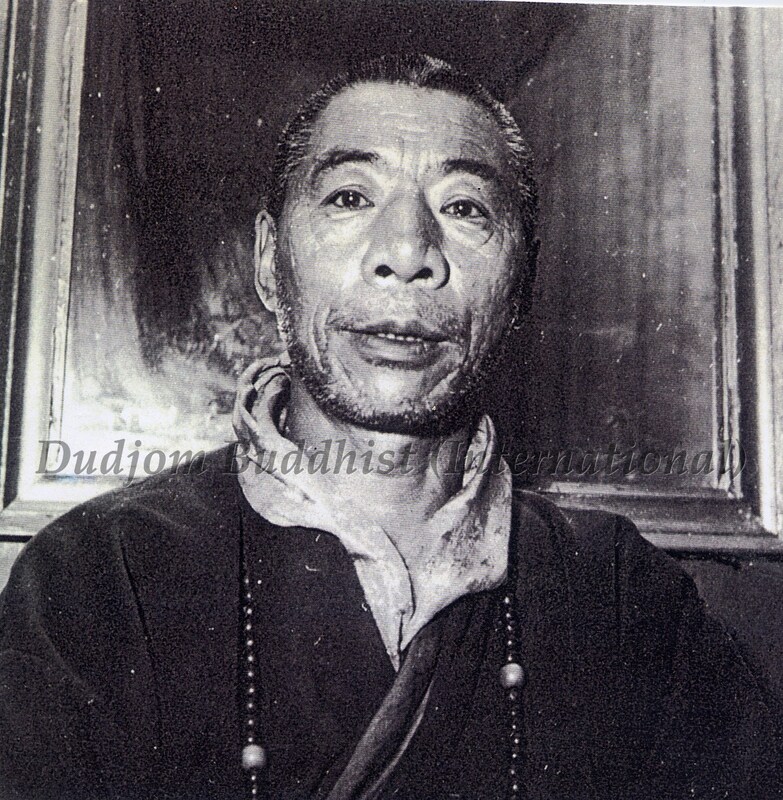 There at Kathok Monastery, he was warmly accepted by, and thus received important teachings from, the Great Master Khenpo Ngagchung, Ngawang Palsang (1879-1941, the double incarnations of both Vimalamitra and Longchenpa, also more commonly known as Kathok Khenchen Ngagi Wangpo Rinpoche), the Principal Lineage Holder of the Khenchen Nyoshul Lungtok Tenpai Nyima. 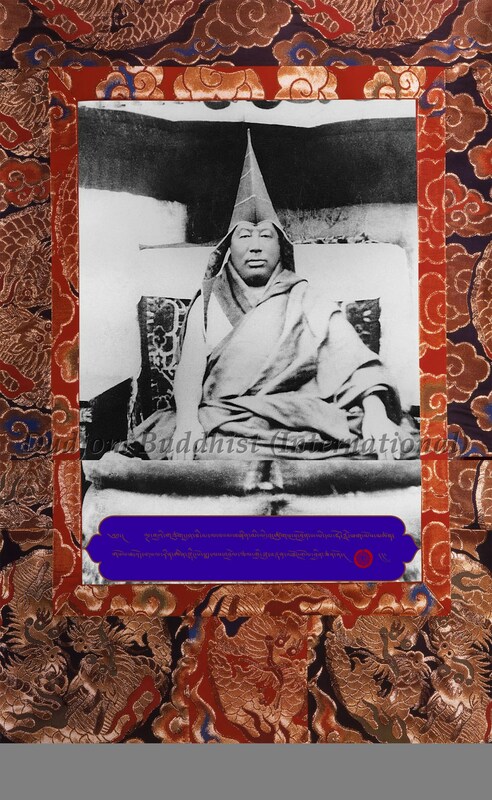 From the Great Master Khenpo Ngagchung, Ngawang Palsang, His Holiness Kyabje Chadral Rinpoche had thus received all the complete cycles and teachings of the Kathok Monsatery, including all the important terma cycles, lineages and teachings of Rigdzin Jatsön Nyingpo (1585–1656), of Rigdzin Dudul Dorje (1615-1672), of Terchen Rigdzin Longsal Nyingpo (1625-1692), and of Longchen Nyingthig (from Jigme Lingpa (1729–1798) all the way down to Khenpo Ngagchung), among many others. 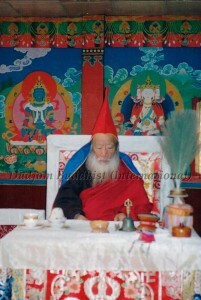 His Holiness Kyabje Chadral Rinpoche started receiving all transmissions of teachings from the preliminary practices (Ngondro), all the way through to the highest practices on trekcho and togal of the Luminous Great Perfection (Dzogchen), and had undertaken strict long-term retreat practices on these teachings for six years and five months, with great realizations and accomplishments. 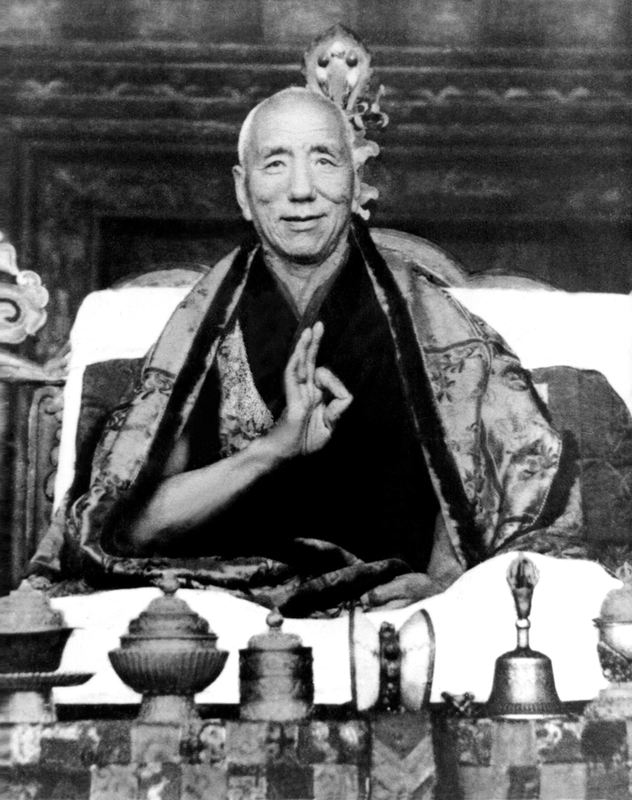 His Holiness Kyabje Chadral Rinpoche had thus received all of the “empowerments, oral transmissions, practical guidance, pith oral-instructions, and lineages” from the Great Master Ngagi Wangpo Rinpoche, who had entrusted him to spread the Holy Dharma to all suitable vessels. 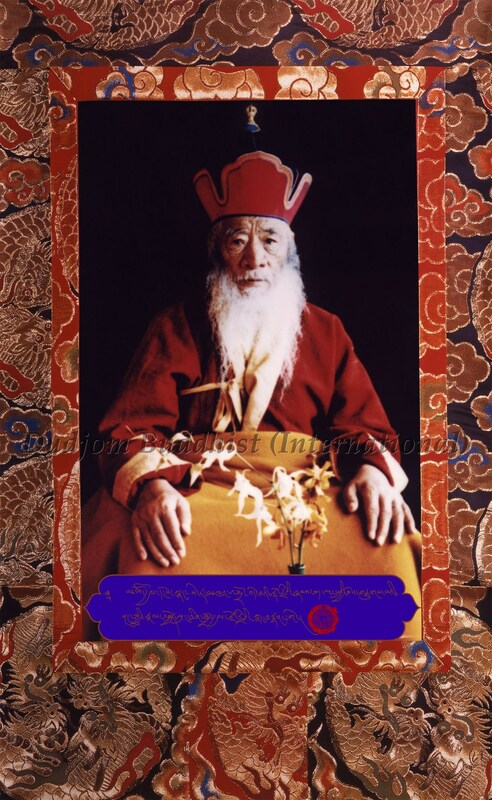 In this way, the most important lineages and traditions of the Luminous “Great Perfection” of Nyingmapa have all been handed down to His Holiness Kyabje Chadral Rinpoche like many rivers all flowing into the one great ocean. 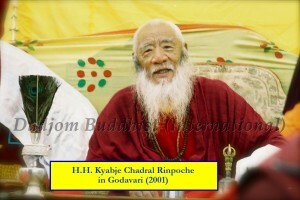 Indeed, His Holiness Kyabje Chadral Rinpoche is one of the few still living Principal Lineage Holders who has upheld the most complete lineage systems of the Luminous “Great Perfection”, and is one of the last living greatly-realized master and Mahasiddha of Tibetan Buddhism in contemporary times, unexcelled by any others in this whole wide world. His Holiness Kyabje Chadral Rinpoche is one of the major Lineage Holders of the Longchen Nyingthig Lineage, and in particular the lineage line that descends through Jigme Lingpa‘s (1729–1798) heart son Jigme Gyalwai Nyugu, via Patrul Rinpoche, Nyoshul Lungtok Tenpe Nyima (1829–1901), and then on to Khenpo Ngagchung, who was His Holiness Kyabje Chadral Rinpoche’ most beloved Crowning Jewel (Root Guru). 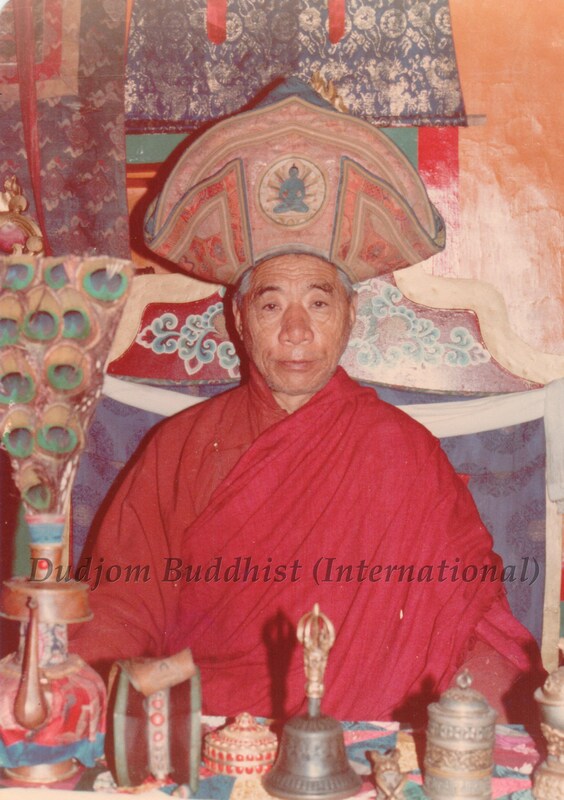 Though His main lineage is the Longchen Nyingthig Lineage, His Holiness Kyabje Chadral Rinpoche is also the Principal Lineage Holder (Kyabchok) and the Lord of the Mandala for the “Dudjom Tersar Lineage”. 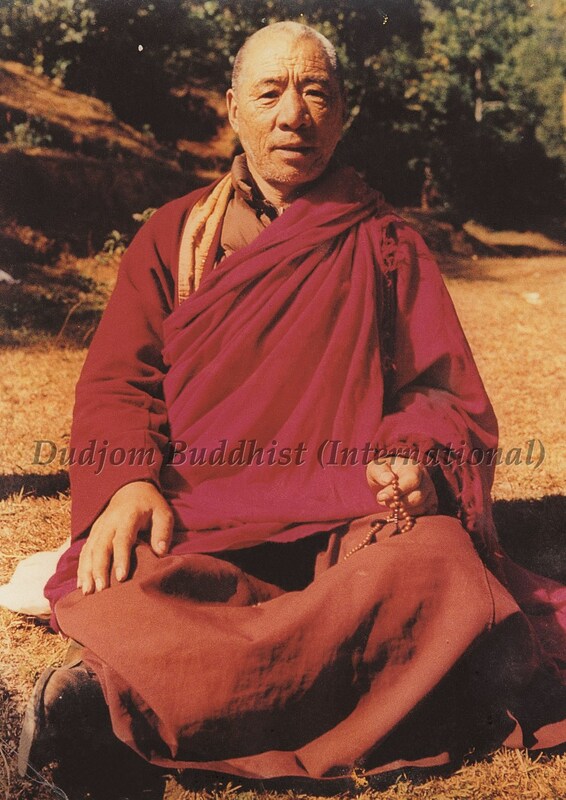 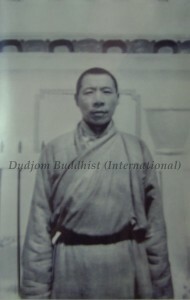 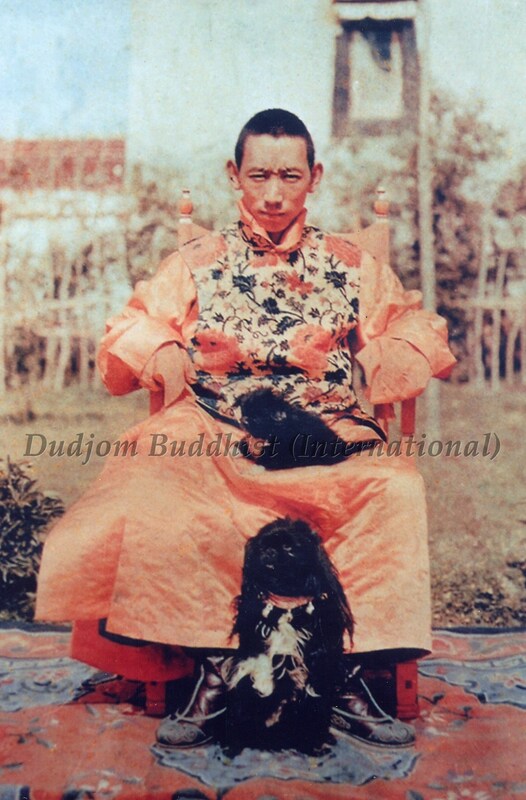 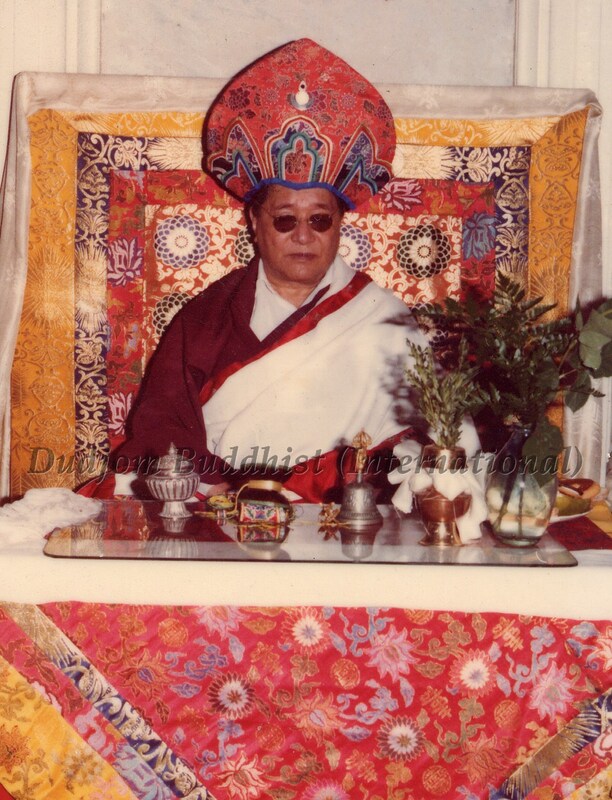 He was authorized and empowered by His Holiness Kyabje Dudjom Jigdral Yeshe Dorje Rinpoche as the “Vajra Regent” (Dorje Gyaltsap) of the “Dudjom Tersar Lineage” while they were still in Tibet. 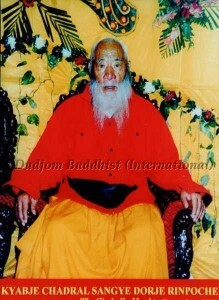 To this day, His Holiness Chadral Rinpoche has now passed on this precious terma lineage back to H.H. 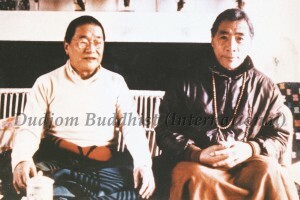 Dudjom Yangsi Rinpoche, Sangye Pema Zhaypa, who lives primarily in Tibet. 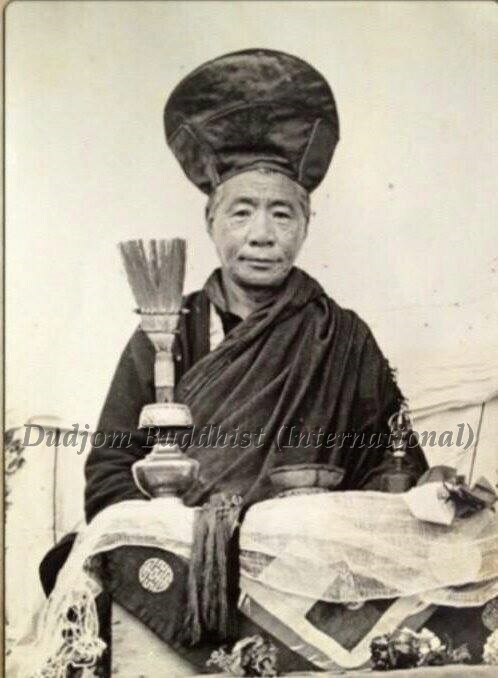 All these rare and precious Dharma lineages, include that of the Longchen Nyingthig, as well as all the major lineage systems of the “major tertons” including that of Jatsön Nyingpo, Dudul Dorje, Longsal Nyingpo, Dudjom Lingpa and Sera Khandro, among others, have all been upheld by His Holiness Kyabje Chadral Rinpoche. 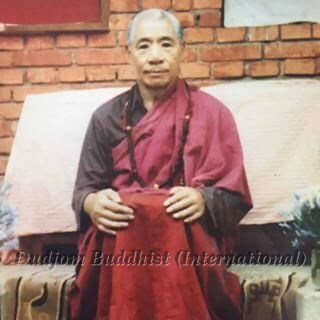 All in all, the Kathok Khenchen Ngagi Wangpo Rinpoche was being considered as the most important Crowning Jewel (Tsawai Lama, or Root Guru) of His Holiness Kyabje Chadral Rinpoche. 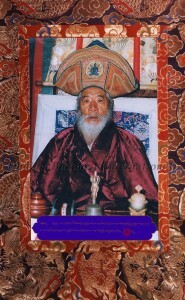 Furthermore, His Holiness Kyabje Chadral Rinpoche not only has received all those great Terma treasures, but instead He had most respectfully offered and transmitted these important Dharma treasures to some of the last century’s most renowned and reverend Great Masters of the different schools of Tibetan Buddhism, including His Holiness Kyabje Dudjom Jigdral Yeshe Dorje Rinpoche (1904-1987), His Holiness the 16th Gyalwa Karmapa Rangjung Rigpe Dorje (1924-1981), and Kyabje Jamyang Khyentse Chokyi Lodro (1893-1959), among others. In this way, they would transmit teachings to each other, and thus became each others’ disciples, which became a much talked about holy story of the time. In this way, the Regent Gyaltsap Reting had invited His Holiness Kyabje Chadral Rinpoche to go to Lhasa, the capital of Tibet, and received many transmissions and instructions on Dzogchen from him. Thus, His Holiness Kyabje Chadral Rinpoche became the “Spiritual Master” of the entire land of Amdo, central Tibet, and Kham. 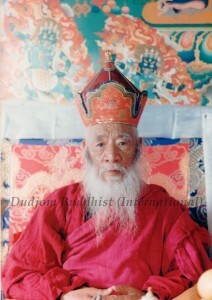 As a result, many people from all walks of life flocked to His Holiness Kyabje Chadral Rinpoche for teachings with offerings. 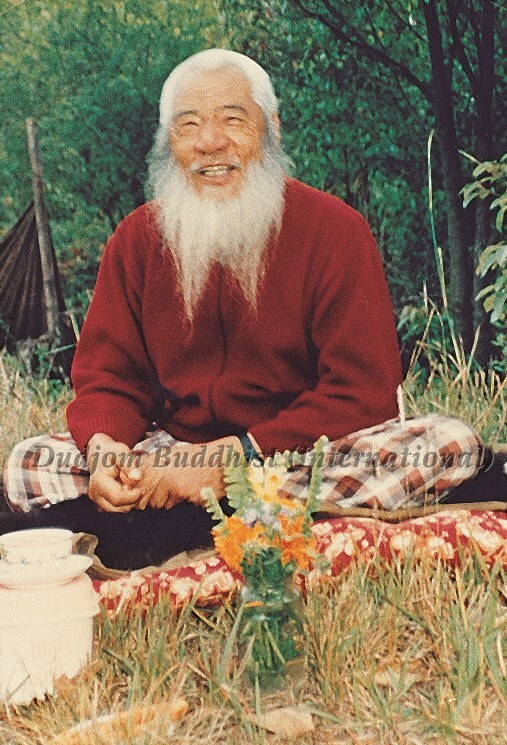 After the transmissions of teachings, His Holiness Kyabje Chadral Rinpoche saw that the title of “Spiritual Master” could only be a distraction from the path. 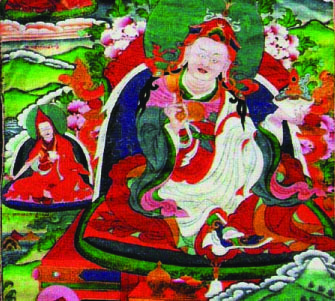 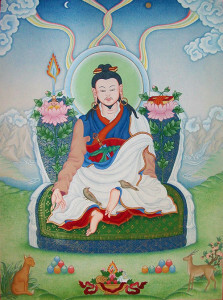 Therefore, one day he had exchanged the clothes of His beautiful brocades with a beggar’s clothes, so as to avoid from being tracked down by the Regent’s servants, and thus continued on with His rigorous Dharma practices by meditating and practicing in mountain caves and retreat hermitages blessed by Guru Rinpoche and other masters of the past. 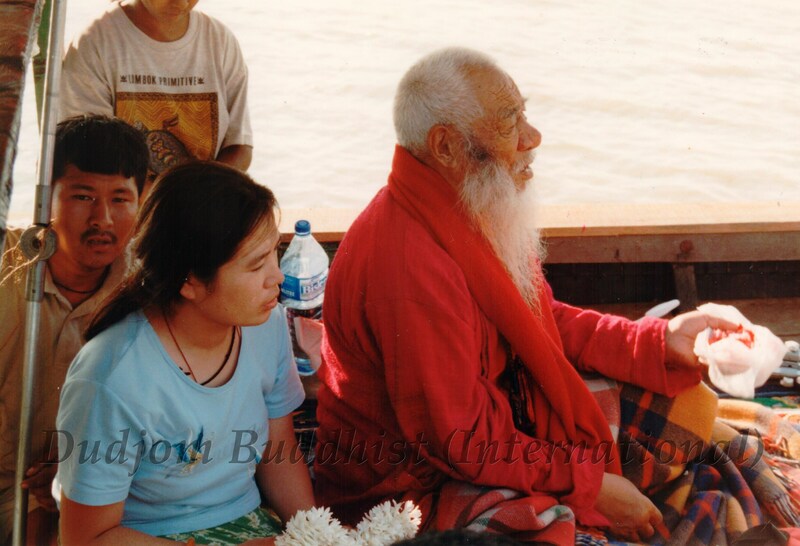 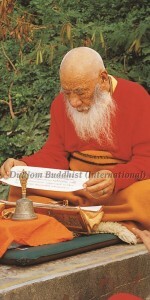 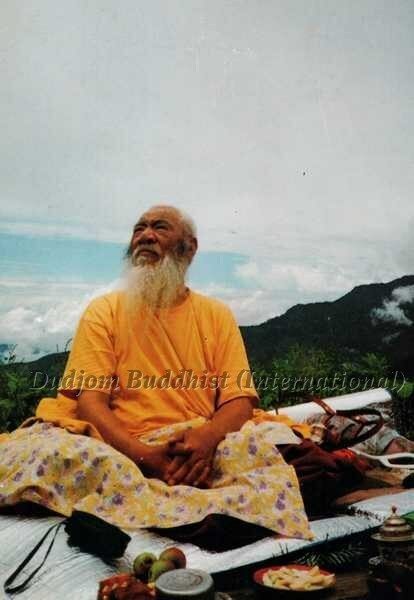 His Holiness Kyabje Chadral Rinpoche has always lived a very simple life of Dharma practice as a hermit for decades. 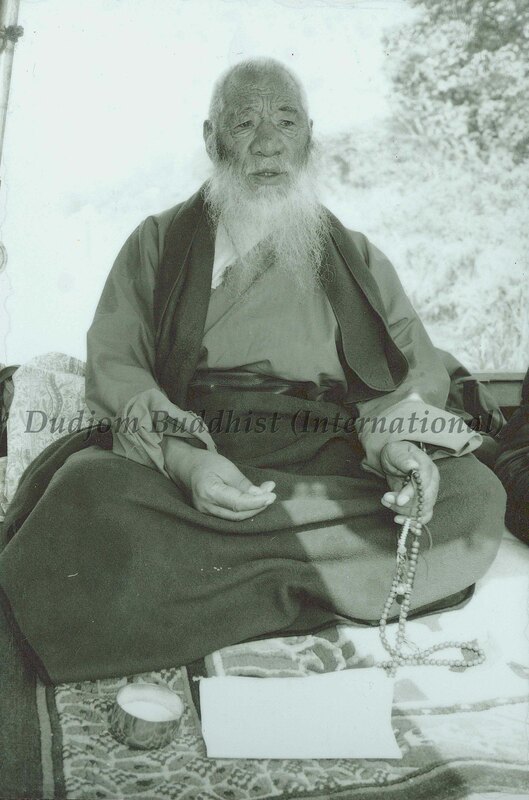 His Holiness Kyabje Chadral Rinpoche had travelled all over Tibet on foot and camping, insisting to practice like a wanderer, and thus earned Him the admiration and respect from many great Tibetan Dharma practitioners. 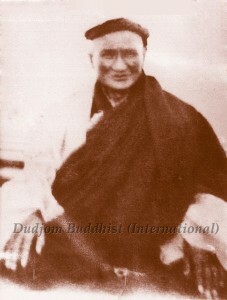 Finally, they called Him as “Chadral Rinpoche”, meaning the “Holy Gem of a vagabond recluse”, or the “one who has abandoned all mundane activities”, and “Kyabje” is the honorific title given to a “greatly accomplished master” of the highest caliber and with the greatest respect, to be the “Lord of Refuge and Protector” for all. 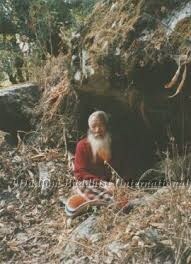 His Holiness Kyabje Chadral Rinpoche has shunned institutional and political involvement in His whole life, choosing instead to live the life of a wandering yogi and has thus maintained a hermit tradition all through His whole life. 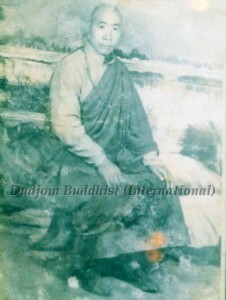 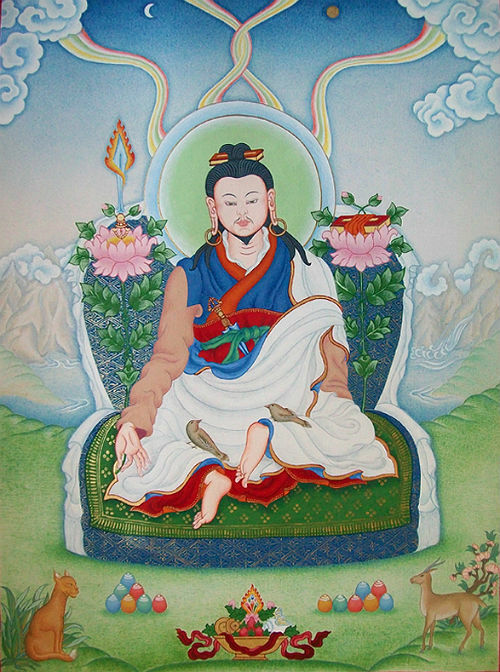 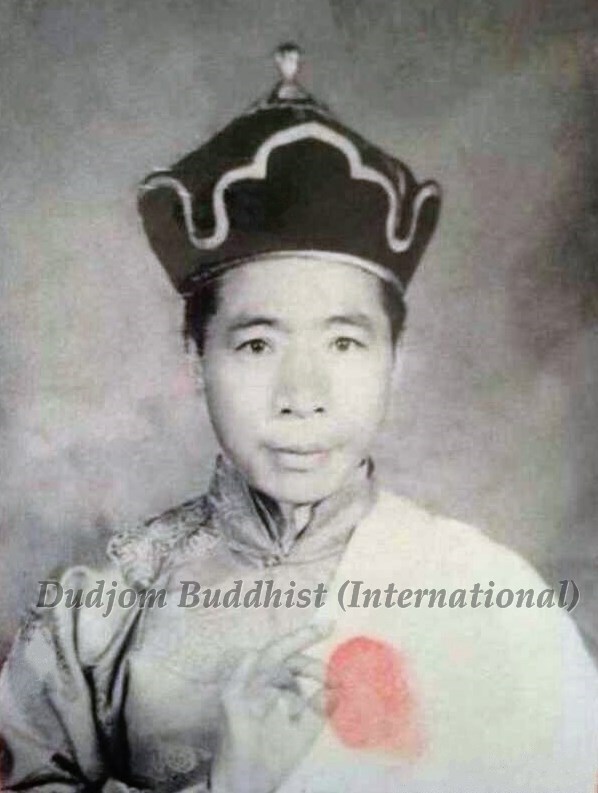 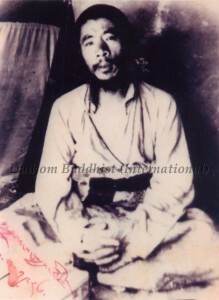 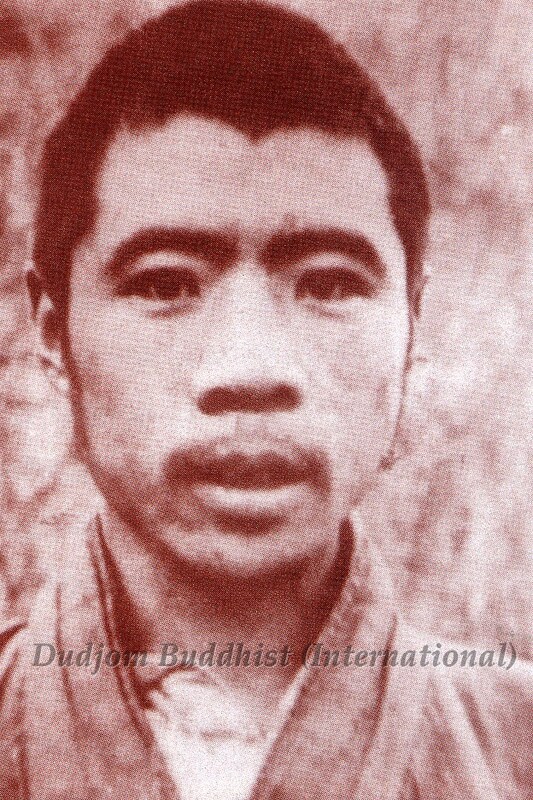 To this day, despite His great age, he is still very strong and healthy both mentally and physically, and continues to move about, rarely remaining in one place for more than a few months, by displaying His Great Bodhicitta in the carrying out of His Bodhisattva activities for the benefits of all sentient beings. 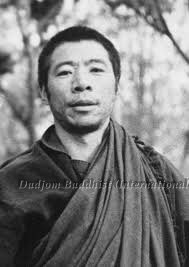 A lay yogi, he is also greatly concerned with maintaining strict disciplines in the contexts of the Dzogchen view, meditation and conduct. 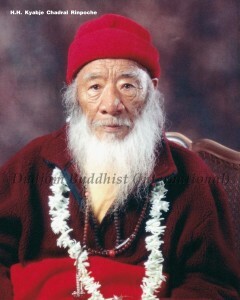 His Holiness Kyabje Chadral Rinpoche’s great wisdom, compassion and life experiences could be reflected from the wrinkles on His face. 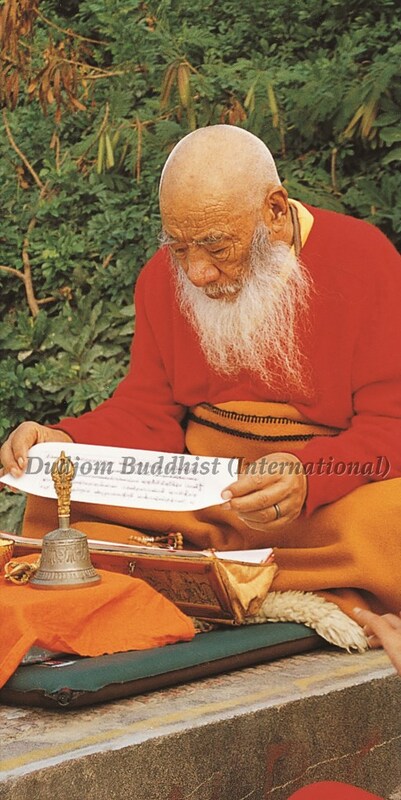 With such weather-beaten and hardworking life experiences on His Dharma practices, His Holiness Kyabje Chadral Rinpoche’s “worldly and supra-mundane” wisdom are the best proof of His Holiness Kyabje Chadral Rinpoche’s entire lifetime of steadfast and firm Dharma practice. 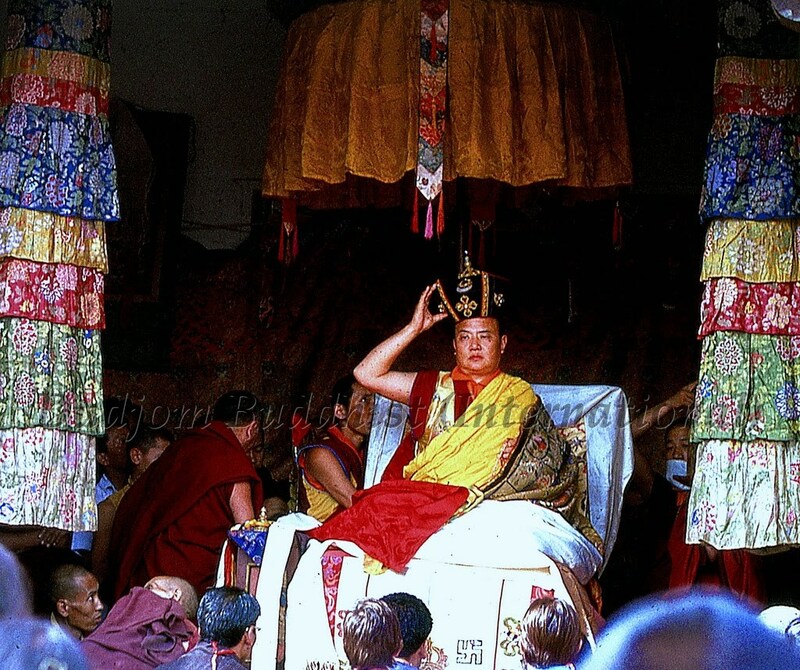 Yet, most of those Great Rinpoches, Khenpos and Tulkus nowadays have already been accustomed to live in their grandeur monasteries with extreme comforts and luxuries with modern facilities. It is, indeed, a huge difference between their lifestyles with that of His Holiness Kyabje Chadral Rinpoche! By the late 1950s, His Holiness Kyabje Chadral Rinpoche moved to Bhutan, and then to India. 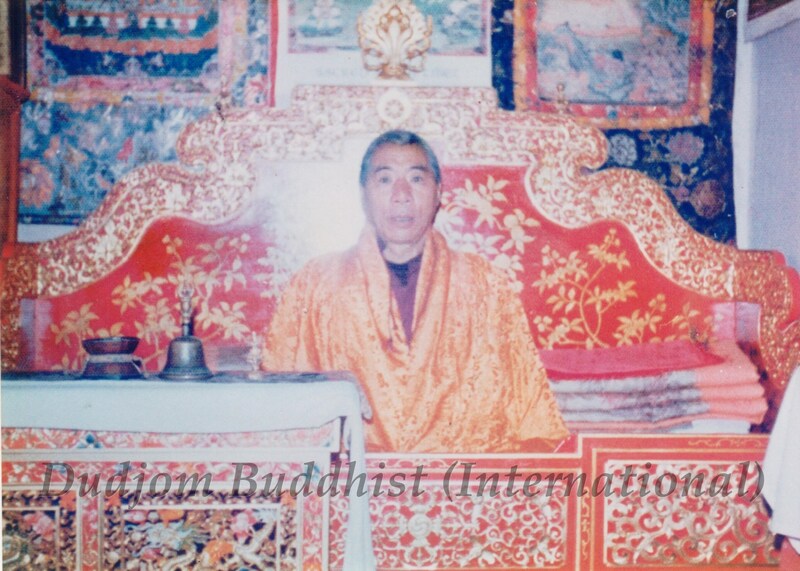 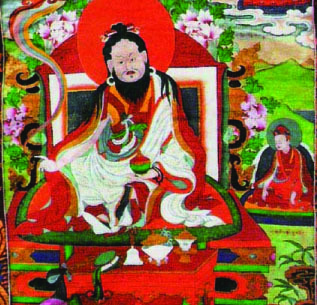 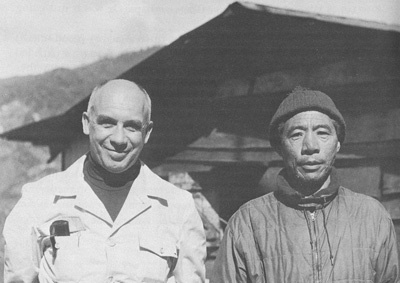 He restored a simple temple near Darjeeling and later started a hermitage retreat center, where practitioners trained in the Longchen Nyingthig Lineage are required to take strict retreats of more than three years. 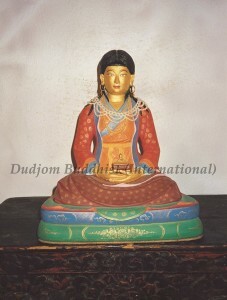 This is the first of its kind for any Tibetan retreat centers to be established outside of Tibet. 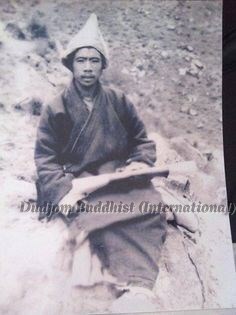 This is, indeed, the kind of practice tradition of the Lord Buddha and of the past Saints of the Nyingma School of Tibetan Buddhism, the motto of which states that “Life relies on Dharma, Dharma relies on poverty, poverty relies on death, death relies on caves”. This has established the uniqueness of the practice style of the Nyingma School, where pure and simple firm practice is the core, such that it could remain in a stance of simplicity and purity in this world. His Holiness Kyabje Chadral Rinpoche has abandoned all secular activities in His entire life, and never in any way to engage in the monastic systems, and never chasing after fame, glory, wealth, power or respect. 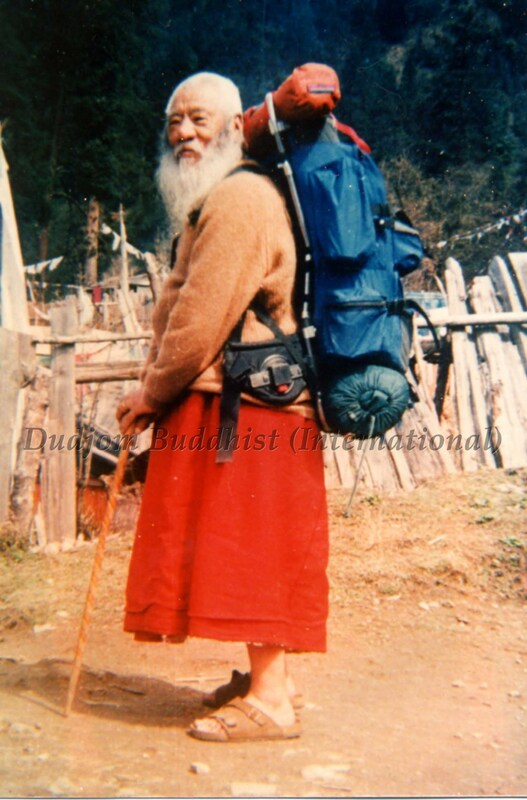 His Holiness Kyabje Chadral Rinpoche insists at all times to practice in a way of a “vagabond recluse”, and uses the way of traveling on foot to worship holy places and shrines, and practice by retreats across Tibet, Bhutan, Nepal and India. 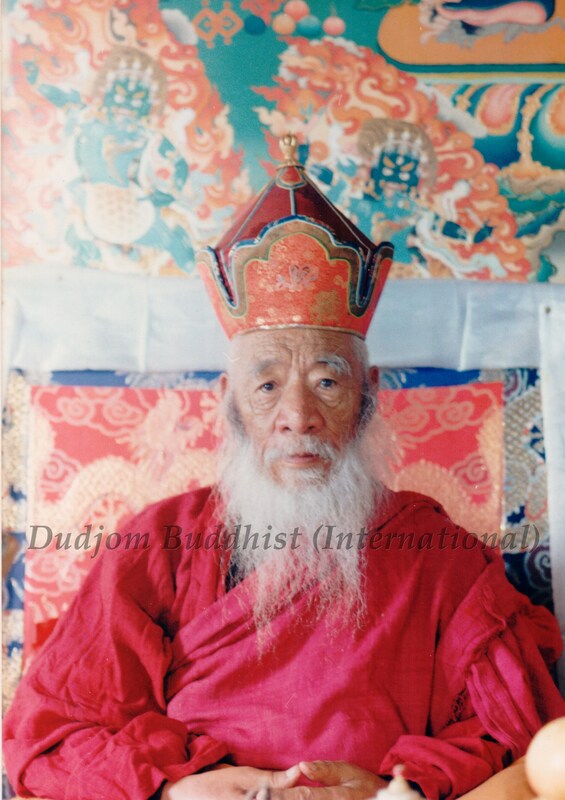 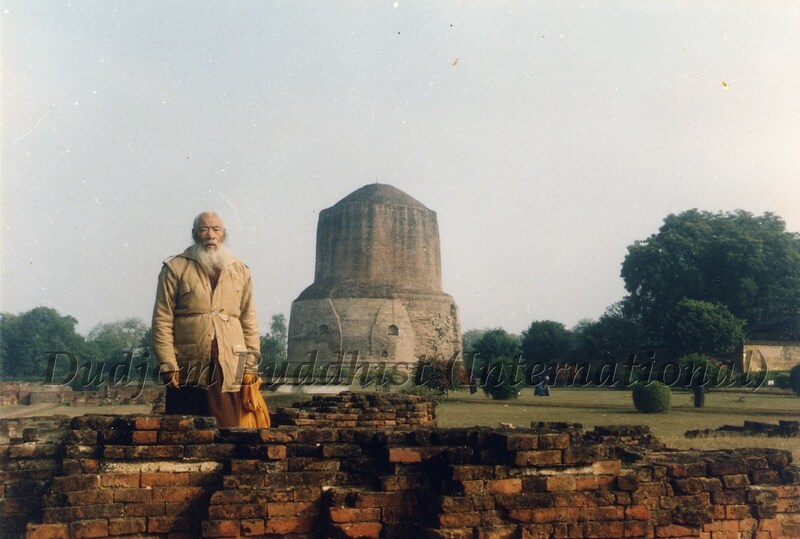 In the early 1960s, His Holiness Kyabje Chadral Rinpoche had gone for pilgrimages to most of the major Buddhist Holy Sites of the Lord Buddha in India. 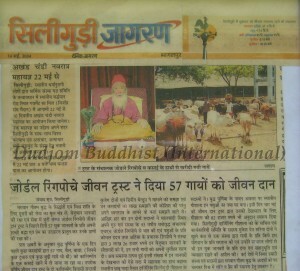 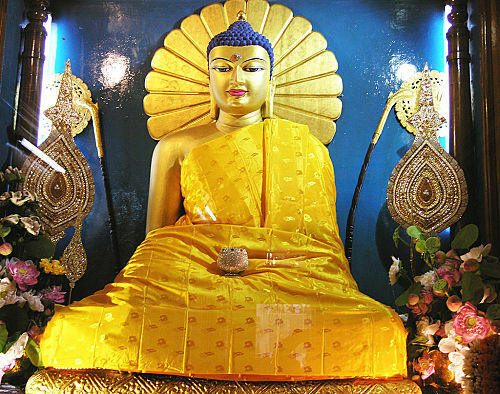 It was during His pilgrimage to the Holy Site at Bodh Gaya, where the Lord Buddha had attained full enlightenment, that His Holiness Kyabje Chadral Rinpoche had made a solemn vow in front of the Lord Buddha’s Statue at the Mahabodhi Temple, witnessed by all the Buddhas and Bodhisattvas, that He would give up meats from then on for the rest of His life, which was His Holiness’ compassionate wisdom to act as a good example for all people not to kill animals for food. 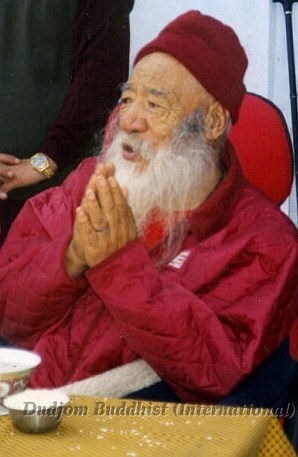 Ever since, His Holiness Kyabje Chadral Rinpoche advocated vegetarianism, and had appealed to all Tibetan Buddhists of abstaining from eating meats. His Holiness Kyabje Chadral Rinpoche lives the life of a “secret yogi”, and never to be moved by the “eight worldly concerns”. 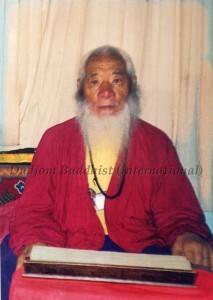 His Holiness Kyabje Chadral Rinpoche is a pure vegetarian for many years and have always kept His pure and rigorous vows and samayas. 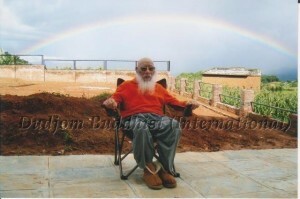 His only focus is on the practice of the Holy Dharma and nothing else. Throughout His entire life, His Holiness Kyabje Chadral Rinpoche has spared no time and efforts on activities other than Buddhist ones. 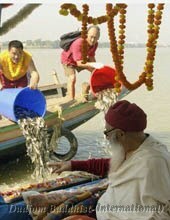 By the using of all offerings that He has received in helping all sentient beings, such as to conduct the ransom of countless lives by releasing them, as well as in the almsgiving of both material and spiritual assistance to all retreatants, thus His Holiness Kyabje Chadral Rinpoche has benefited countless sentient beings. He has also established numerous Buddhist śarīra-stūpas and retreat centers in the snowy mountainous regions of Tibet, Bhutan, Nepal and India. For many years, His Holiness Kyabje Chadral Rinpoche has provided food, lodging and other necessary facilities for the retreatants in His retreat centers, and thus provided a lot of help to many Dharma practitioners. With great aspirations to benefit both oneself and others, His Holiness Kyabje Chadral Rinpoche has established a great role model of “Great Wisdom, Great Compassion, Great Strength, Great Aspiration and Great Action” of a Bodhisattva with Great Compassion and Bodhicitta in this world, such that “a most pure and clean spring of nectar fountain” has been created by His Holiness Kyabje Chadral Rinpoche’s Enlightened Activities in this secular world of five impurities and in an Age of Degeneration! 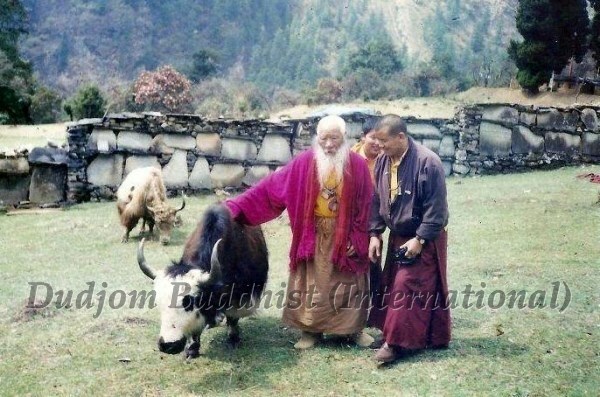 His Holiness Kyabje Chadral Rinpoche is especially well known for His advocacy of vegetarianism, His annual fasting retreat of Nyungne practice, as well as His annual practice of ransoming the lives of millions of living creatures in India and Nepal. 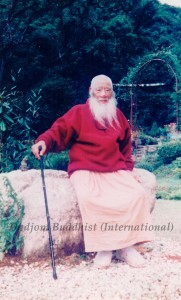 In addition to His emphasis on the union of view and conduct, His Holiness Chadral Rinpoche also stresses the practice of strict disciplines and retreats. 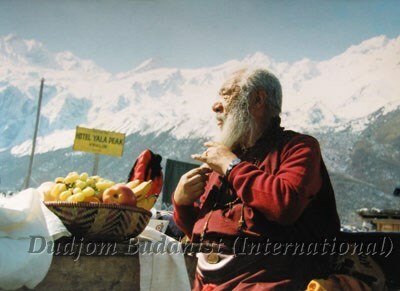 His Holiness Kyabje Chadral Rinpoche has established numerous retreat centers throughout the Himalayas, including those in Pharping, Yolmo, Godavari, Darjeeling, and so on. 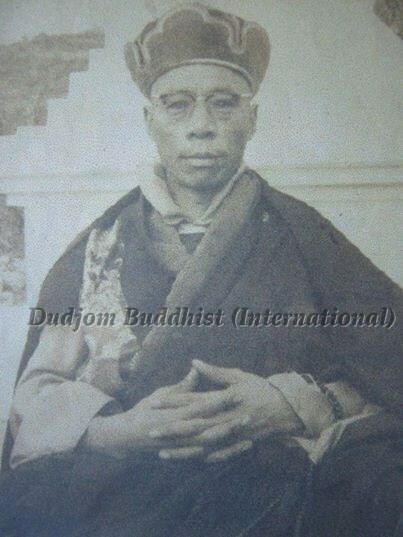 Numerous Tibetans, Indians and Nepalese have all regarded His Holiness Kyabje Chadral Rinpoche as their own “Lord of Refuge and Protector” (Kyabje). 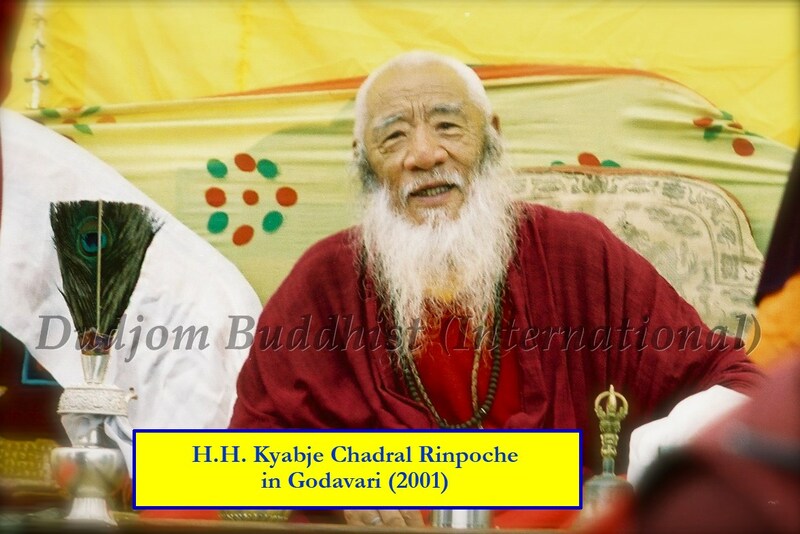 Countless teachers and Dharma practitioners from Tibet, Bhutan, Nepal, India and other western countries tried to seek for His Holiness Kyabje Chadral Rinpoche’ teachings, and thus His Holiness Kyabje Chadral Rinpoche is, indeed, the Guru of gurus! Within Tibetan Buddhism itself, His Holiness Kyabje Chadral Rinpoche can thus be rightly named as the Unsurpassed Maha-Guru and Mahasiddha with great realizations, complete accomplishments in enlightened activities and merits, in this contemporary age. 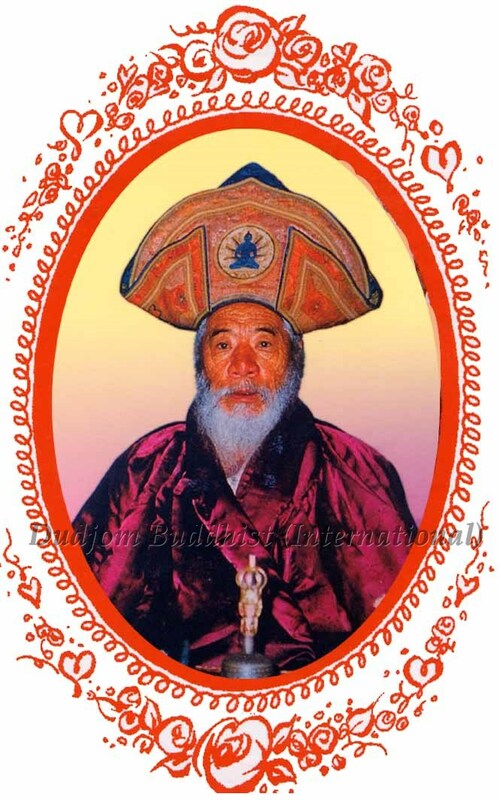 Hence, an endless stream of pilgrims has gone to pay their greatest respects and worship to, as well as to seek for blessings from, His Holiness Kyabje Chadral Rinpoche. All those who could visit with, or even be blessed by, His Holiness Kyabje Chadral Rinpoche would feel extremely happy and joyful, when considering oneself not to be wasting one’s whole life after all, in having this extreme fortune and matchless happiness! 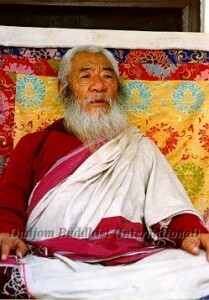 Venerable Sangye Dorje, to You I pray! And may Your great waves of taming beings and of enlightened activities expand and flourish! 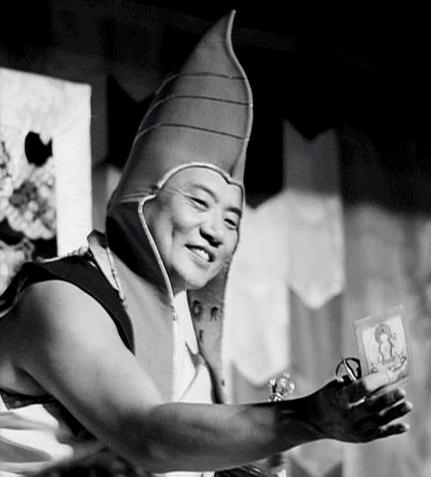 This short life story of our Most Beloved Crowning Jewel His Holiness Kyabje Chadral Sangye Dorje Rinpoche only accounts for a minute drop of water in the vast and deep Great Ocean of Wisdom and Compassion, which is, indeed, the very nature of His Holiness! 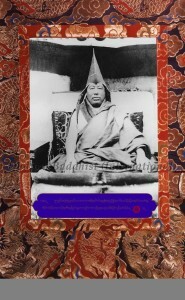 The year 2012 marked the celebration of the 100th Birthday Anniversary of our Most Beloved Crowning Jewel and Wish-Fulfilling Gem His Holiness Kyabje Chadral Sangye Dorje Rinpoche, and so we have sincerely prayed for the Lotus Feet of His Holiness to remain firm and steadfast for thousands of aeons in this universe in the Issue 40 of our “Lake of Lotus”, to be specially dedicated for the good health and longevity of His Holiness. 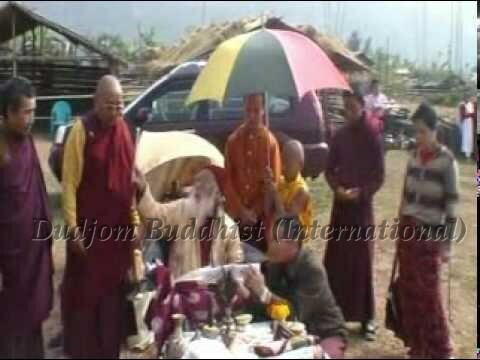 With the extreme kindness and special blessings of His Holiness Kyabje Chadral Sangye Dorje Rinpoche‘s great presence with us, while celebrating His Holiness’ 104th Holy Birthday this year (2015), the Sangha members of the Dudjom Buddhist Association (International) would like to hereby specially dedicated all the merits so accumulated for the great health and longevity of our Most Beloved Crowning Jewel (Root Guru) His Holiness Kyabje Chadral Sangye Dorje Rinpoche, and with our most earnest, humble and utmost sincere prayers and aspirations that His Holiness’ Lotus Feet will continue to remain firm and steadfast for thousands and thousands of aeons in this universe! 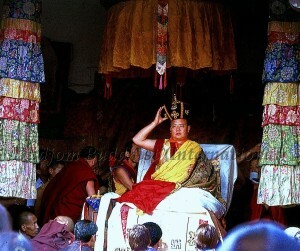 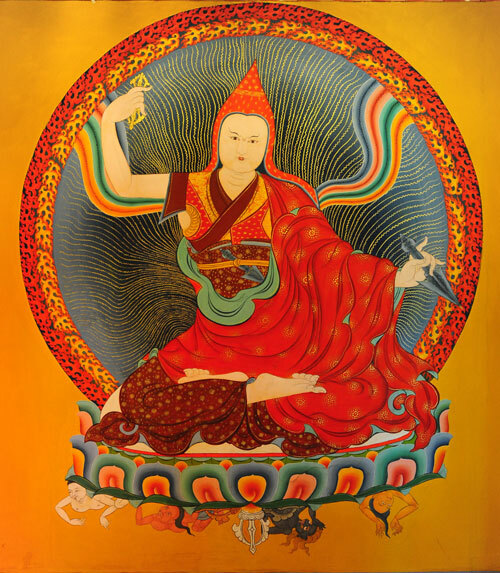 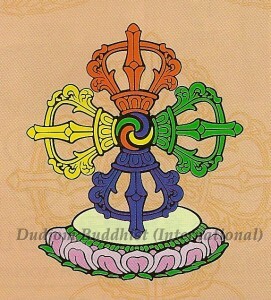 As the Standard-Bearer of the authentic and genuine Holy Dharma, and as Our Lord of the Mandala, we sincerely pray that His Holiness will continuously uphold the Victory Banner and turn the Wheel of the Holy Dharma, for the benefits of all our motherly sentient beings, as limitless as the sky! In commemoration of the extreme kindness and compassionate blessings of our Most Beloved Wish-Fulfilling Crowning Jewel and Lord of the Mandala Dorje Chang His Holiness Kyabje Chadral Sangye Dorje Rinpoche (1913-2015) to all sentient beings in this universe, we humbly, sincerely and earnestly pray, from the deepest of our hearts with our greatest gratitude, for His Holiness’ Continuous Bestowal of the Nectar Rain of Blessings to this universe, by upholding the Victory Banner and turning the Wheel of the Holy Dharma, for the benefits of all our motherly sentient beings, as limitless as the sky! 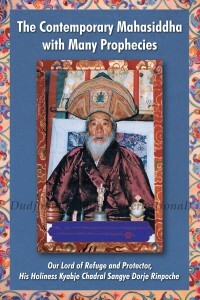 Enclosed please find the whole full version of the “Liberated Life Story” (“Namthar”) of Dorje Chang His Holiness Kyabje Chadral Sangye Dorje Rinpoche, published by the Dudjom Buddhist Association (International), entitled “The Contemporary Mahasiddha with Many Prophecies: Our Lord of Refuge and Protector, His Holiness Kyabje Chadral Sangye Dorje Rinpoche”.